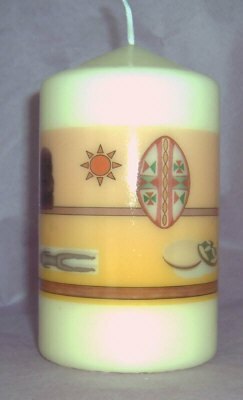 African print candles. For sizes and picture see more images and drop down boxes. * All candles come gift wrapped.